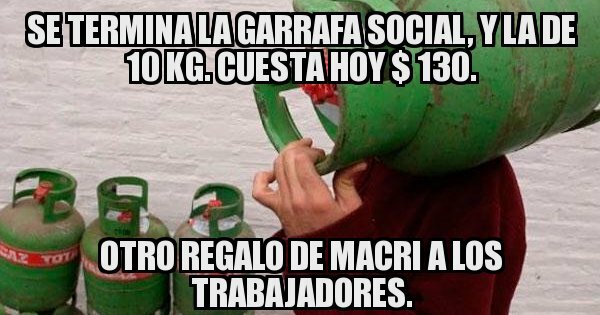 SE TERMINA LA GARRAFA SOCIAL, Y LA DE 10 KG. CUESTA HOY $ 130. - OTRO REGALO DE MACRI A LOS TRABAJADORES.